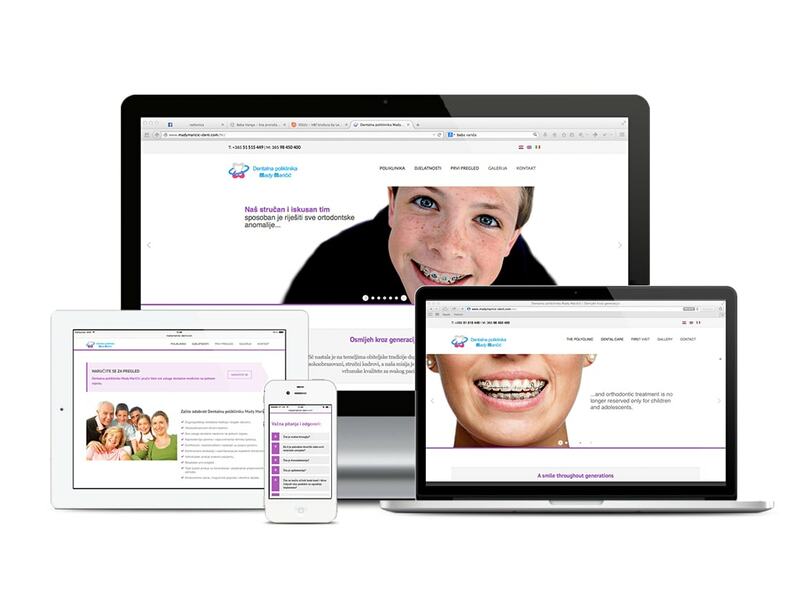 For Dental polyclinic Mady Maričić we developed the website in Croatian, Italian and English language. We designed the complete content, from copywriting, selection of images and taglines and independently translated all texts in Italian and English. The website is characterized by responsive design in order to be equally readable on a desktop computer and on mobile devices.